Join us for a fun Friday evening filled with crazy coasters and extremely easy ways to jazz them up. 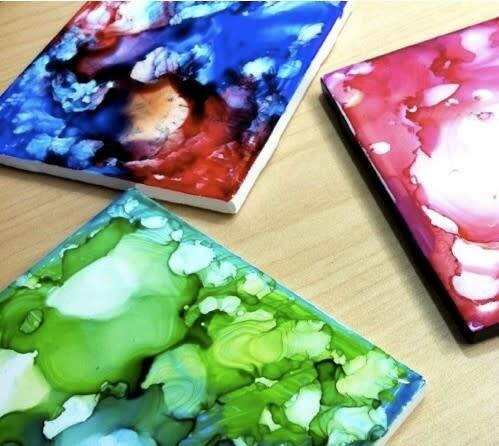 You'll make a set of four completed coasters to take home which are sure to wow your family and friends.This workshop is best for ages +/-8 and older. Please wear clothes which might get stained as we're making the coasters.